Back when Arise, Great Warrior came out in 2011, the short album felt like an epic tale of dark Gothic Americana songs mixing the sound of seedy dive bars and supernatural tales from the deep South. With Bleeder, the storytelling feels more nuanced, so what once were strokes of ocher and dark yellow are now shades of aquamarine with emerald green brushstrokes. This subtlety is because Bleeder precedes Arise, Great Warrior. This is a re-issue of the album, first released in 2007 and now with 3 extra tracks and a little nip and tuck done here and there. It’s a good idea because now that they’ve cemented an audience, a trip down memory lane is needed. Heck, it’s worth a shot since many a song here could benefit from reaching a new audience. ‘Moment of truth’ is an ominous track; a stark menagerie of cold sounds and a wistful voice that slowly builds up into a fiery ending. ‘Don’t disappear’ equally paints a cold picture, but this is more of naked trees and ominous crimson and gray skies in a cold December afternoon. There’s a vastness, ubiquitous in the open roads of the USA, that’s perfectly captured in these songs. Even so, there are moments of quiet introspection that do not recall long drives but instead paint images of black and blue nights with only the Moon as a light source. ‘The Same’ fits this description with its warmth entombed in an icy casing. You can see the fence dividing The Fervor of 2007 with the current version with the last three tracks. Specifically, you can see how their creative muscle has grown with the grandiosity displayed in ‘Yellowwood’, the expansive track from 2012 that now joins the caravan of songs by The Fervor. The Americana stylings of the band are captured crisply in this lovely track which neatly closes this particular journey of the Fervor before starting a new chapter. This does not imply that Bleeder lacks the force found in later releases from The Fervor. Sometimes you don’t have to be loud to be make your points, sometimes you don’t need scream to let out a feeling of desperation. I think ‘Out Alone’ is a heart wrenching experience hiding inside a very soothing slow rocker. 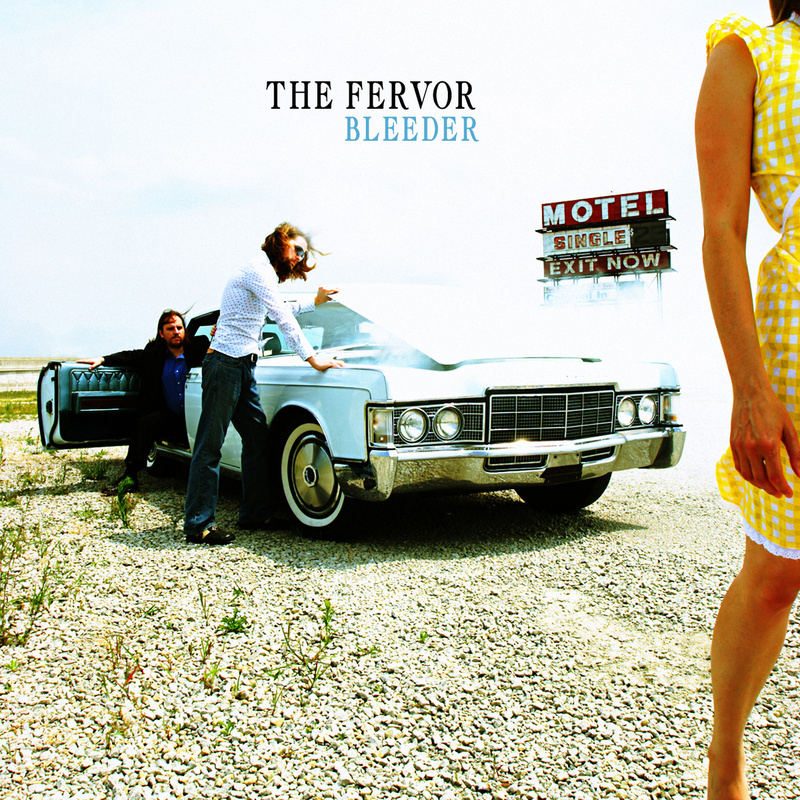 The Fervor Website. Facebook. Twitter. Last.fm. Bandcamp. Posted in Americana, reviewsTagged Arise Great Warrior, Bleeder, dark Gothic Americana, Fervor, Karate Body Records, Louisville, The FervorBookmark the permalink.